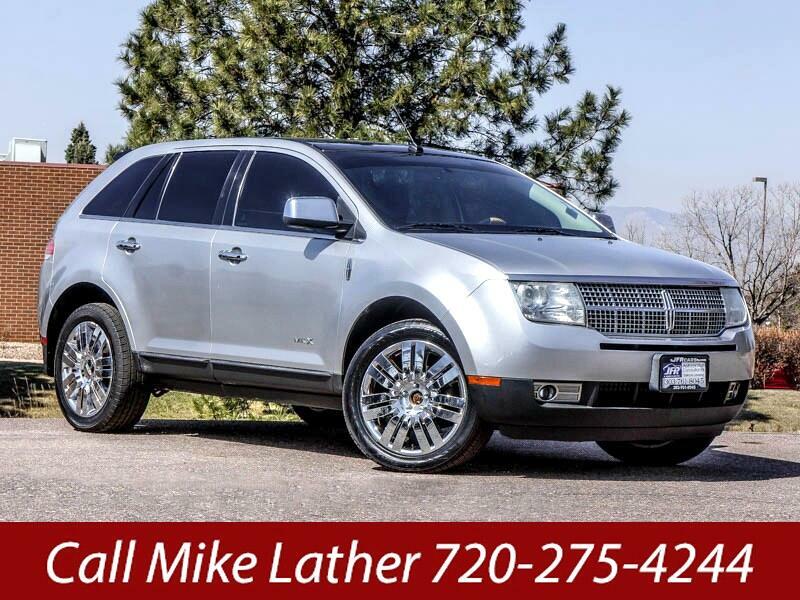 Used 2010 Lincoln MKX AWD for Sale in Littleton CO 80120 JFR & Associates, Inc. This affordable Lincoln MKX luxury crossover looks enticing and boasts lots of appeal. The eye-catching exterior makes this SUV stand out in a crowd. The V6 engine is smooth and offers that extra kick of power when you need it. Merging in traffic is a breeze, quick and easy. You'll find the interior cabin looks luxurious and offers you and your passengers plenty of space and room with this spacious cabin. This Lincoln MKX comes with a wide range of amenities like a heated exterior mirror, CD changer, allow wheels, cooled front seats, heated seats, electronic parking aid, front power lumbar support, leather seats, traction control, allow wheels, plus lots more to make your driving experience more enjoyable. You are cordially invited to take this luxurious Lincoln MKX crossover for a test drive and discover for yourself why this SUV is so popular. Contact us today and schedule your test drive.